With more solution providers entering the market each week, selecting the right influencer marketing platform may seem like a daunting task for any brand. 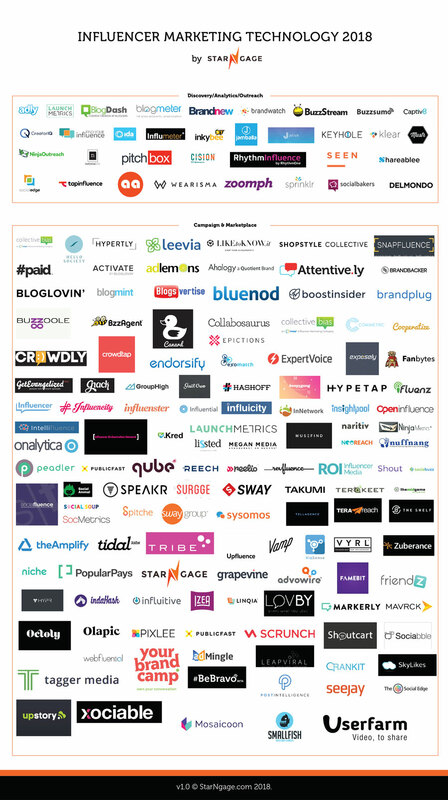 There are over 200 influencer marketing platforms available in the market. These platforms offer a mix of services ranging from influencer discovery tools, influencer marketplaces, influencer relationship management (IRM) to social boosting and distribution. Couple this with influencer agencies, multi-channel networks (MCNs) and other talent brokers, the selection process becomes even more challenging. This tool allows users to analyse, filter and segment influencers according to a series of factors and profile metrics such as number of posts, number of followers, audience demographics, engagement rates and the quality of posts. Through search and discovery, brands can scout for social media influencers directly within an influencer network or across all social networks. Some platforms allow brands to run their own campaigns by providing communication tools for marketers to manage and engage influencers directly. An Influencer marketplace provides brands and advertisers the power to choose which influencers they would like to engage, while simultaneously allowing influencers to connect directly with a variety of brands. Some marketplaces only specialise in certain industries like gaming, while others are channel-centric and focus only on Instagram, YouTube, Twitter or Twitch influencers. Some platforms even offer a comprehensive catalog of services including both content creation and influencer marketing. Now that you’ve understood the solutions provided by most influencer marketing platforms, it’s time to evaluate which platform to choose. Marketers should look out for these key capabilities: the ability to discover, connect, engage, review and measure success within the platform. As the starting point for most marketers, this tool allows brands to find influencers based on user criteria including all the engagement metrics, audience demographics and topics of influence. It is about finding the right fit between an influencer and the brand, where the mission, visions, messages and identities align. Influencer marketing technology platforms that focus on solving the discovery segment tend to be SaaS services with a strong analytics component. These platforms typically leverage on AI technology to discover influencers that are most fitting for your target audience. These solutions will usually allow you to search for influencers by filtering through a bigger pool of social channels (Instagram, YouTube, Facebook, Twitter, Pinterest, SnapChat or Twitch), audience size, interests, location, age, gender, interactions and the number of posts. These platforms also utilise AI to learn how each influencer has performed in past campaigns before recommending the optimal candidate. Brands can then communicate with influencers via the platform to discuss opportunities for engagement. The main focus of this feature is community management and direct messaging. When brands decide to engage an influencer, there are two types of models to adopt: unpaid or paid opportunities. 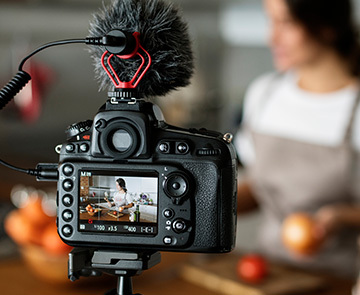 This model engages influencers to produce content (blog post or Instagram post) in exchange for product samplings or experiences (food tastings, behind the scenes tour). Product samplings are common among micro-influences and it serves as an important mechanism to generate quality content, exposure, clicks and conversions. With the simple act of “gifting”, advertisers can grow relationships with the influencers, apart from gaining exposure through influencer-generated content. A paid model is more common for macro influencers, where brands engage influencers for a paid activity like speaking at an event or creating sponsored content with a pay per content creation model. A paid campaign is suitable for all influencer mixes – Micro-Influencers, Macro-Influencer or Mega-Influencers. There are are several ways to engage them commercially. Brands provide content to Influencers (blog, webpage, video, or social post) and share it with their audience. It’s a great way to increase the reach of your content with new audiences. This method helps to drive traffic to e-commerce marketplaces and encourage product sales through influencer discounts. Influencers will usually share videos and pictures of the products with a unique discount code for their fans to use. Brands engage influencers to share their personal review of a product through a post or a series of videos on their social media channel. If you have an upcoming event, invite your influencers to attend either as a guest or participate as a keynote speaker or panellist. Depending on how relevant the topic is, offering exclusive influencer-only access provides a valuable opportunity for them to gain exposure, highlight their expertise and add credibility to your event. Building a relationship with an influencer is also far easier to achieve if you meet in person. This allows advertisers to review the influencer’s content prior to promotion. This depends on whether a brand takes a hands-on or hands-off approach with their creative direction. This tool includes advanced metrics and analytics for performance management, allowing brands to track the visitors, page views, click through rate and conversion rate. This provides a deeper understanding of the value or ROI of the campaign by analysing the performance. What social channels and content formats do they offer? How do they charge for their services? What payment models do they offer – per post, based on performance, or a combination of both? How established is the provider? How long have they been around? What other brands do they work within your space? What results have they delivered for those clients? Influencer marketing is hard, but it doesn’t have to be painful. Take the time to identify the right fit for your business and partner with a mix of influencer marketing providers that will deliver the results you’re looking for.